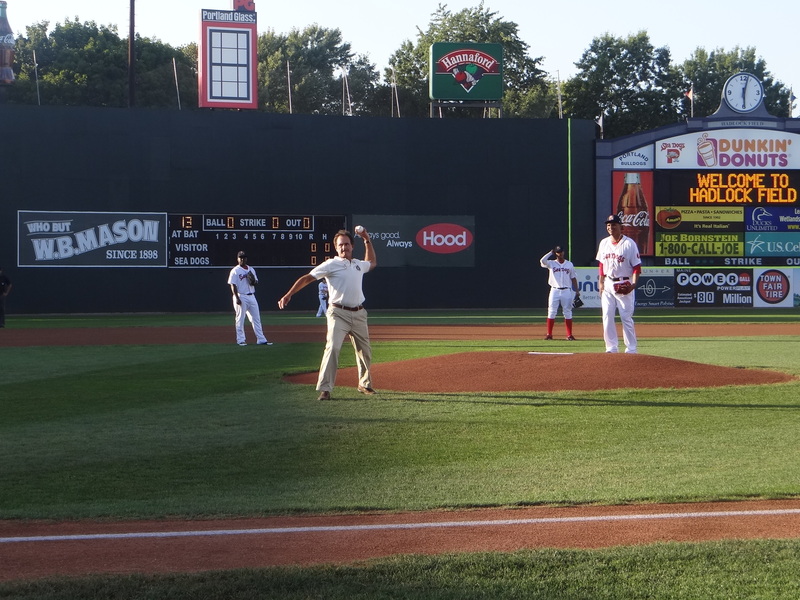 The 2012 season came to a close yesterday, but the work does not stop for the Sea Dogs Front Office! As the team packs up and moves out, the front office staff is busy today buttoning up a few projects and thinking of new ideas for next year. For me, (for today at least) that means organizing the HUNDREDS of pounds of non-perishable food items that were dropped off at the ballpark thanks to Travelers. Their support of the games on September 1st and 2nd (Not to mention their $2,000 donation to Good Shepherd Food Bank) brought in an unbelievable amount of food that will be picked up by Good Shepherd this week. 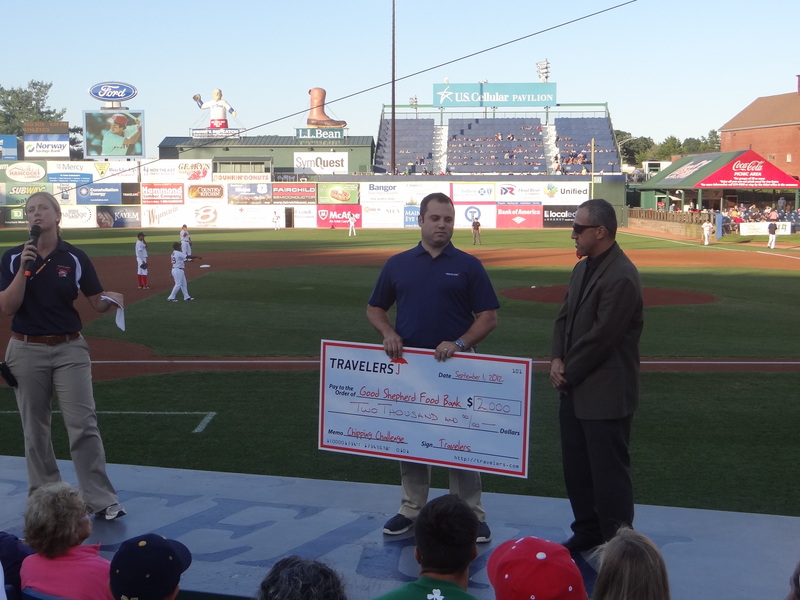 Nick Auresto of Travelers presents a $2,000 check to David DiPerri of the Good Shepherd Food Bank. That $2,000 from Travelers can be leveraged to feed so many families! Travelers’ support of Good Shepherd was incredible, matched only by the support of the fans. Seriously, my office looks like a Hannaford right now, with just a tiny path to my desk. 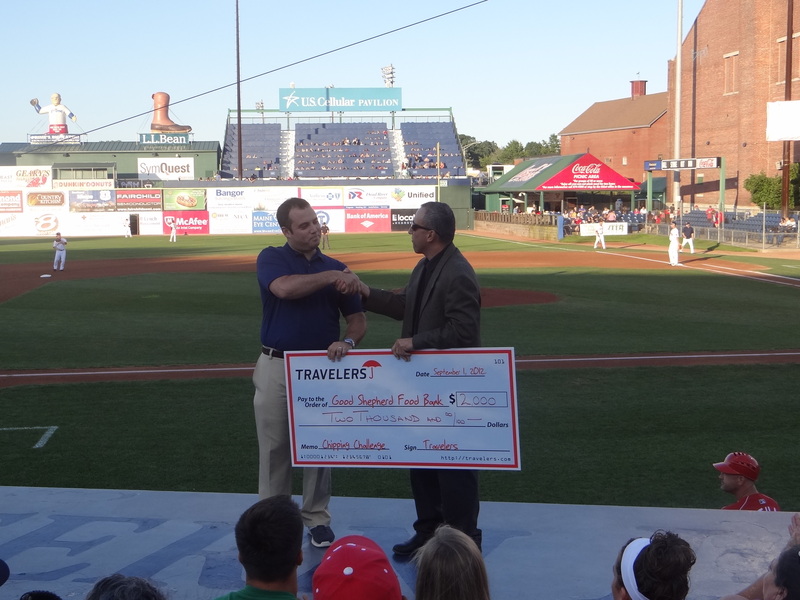 Thank you to Travelers and thank you to the best fans and best community members in all of New England! 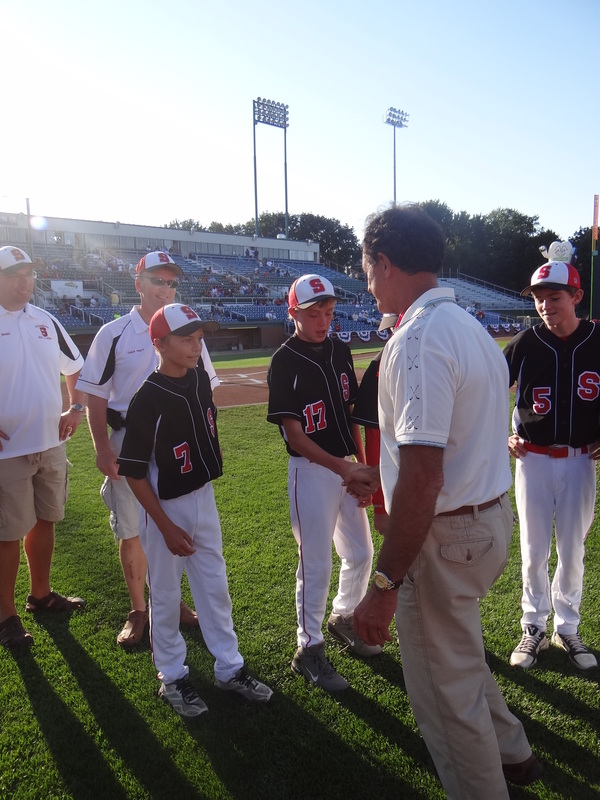 Great pics, and what a thrill to have Fred Lynn at the game! 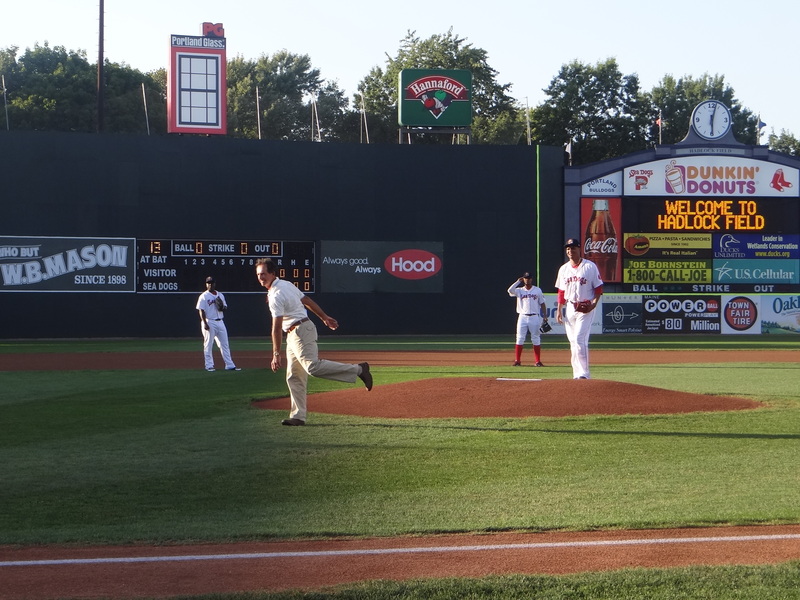 The Sea Dogs have some of the best promotions in baseball. I can’t believe this season is over already, what a fun summer, and not ready for it to end. All the best to the Sea Dogs next season, too. We took in our last Minor League game last weekend.